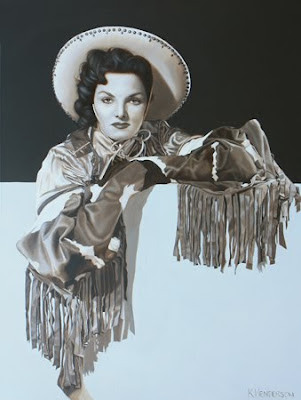 This is another in my Silver Screen Cowgirl series. This Cowgirl is ready to take down the Bad Guys while still looking beautiful. 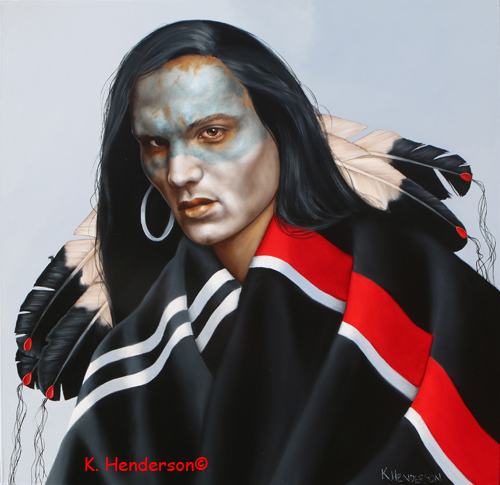 This modern day Pow Wow Dancer wears Beaded hair ties and medallion. 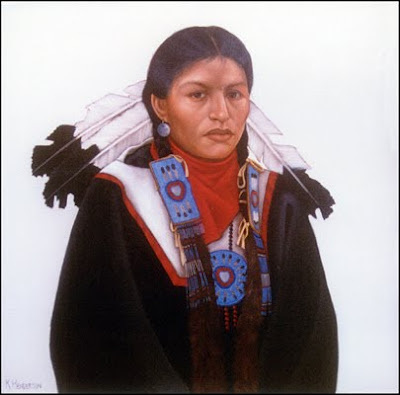 Eagle feathers adorn the young woman's hair. 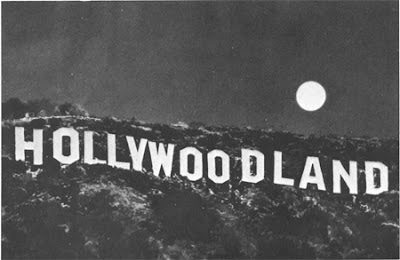 Focus is on culture(s) of Hollywood/Los Angeles. Come and get inspired and get excited again about why you live here....or visit here.. 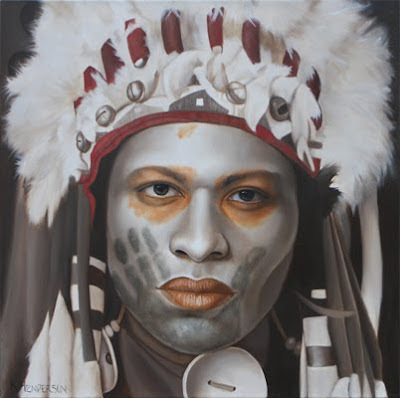 I'm pleased to have recently sold this painting. Although I have enjoyed painting horses throughout my career I suspect that this will be my final equestrian painting. 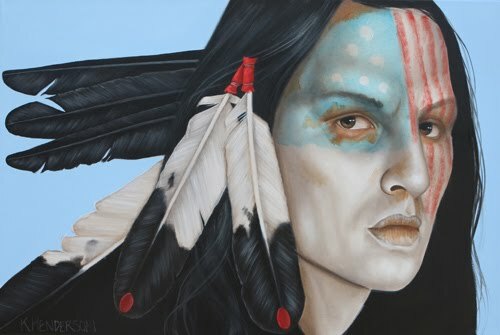 Flies Like the Wind depicts a Plains Indian holding a shield with images of horses. 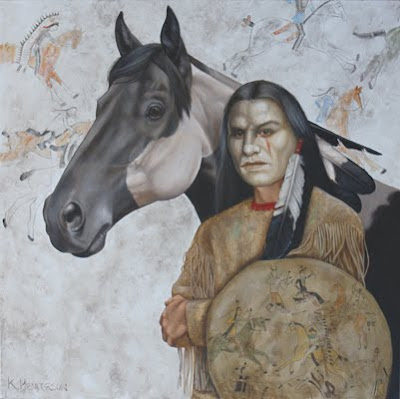 The background also has horses similar to ones found in ledger drawings or story robes. 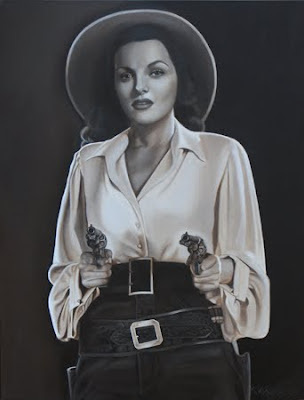 This oil painting is my most recent in my Silver Screen Cowgirl series. Don't you love those crazy fringed cowhide cuffs?